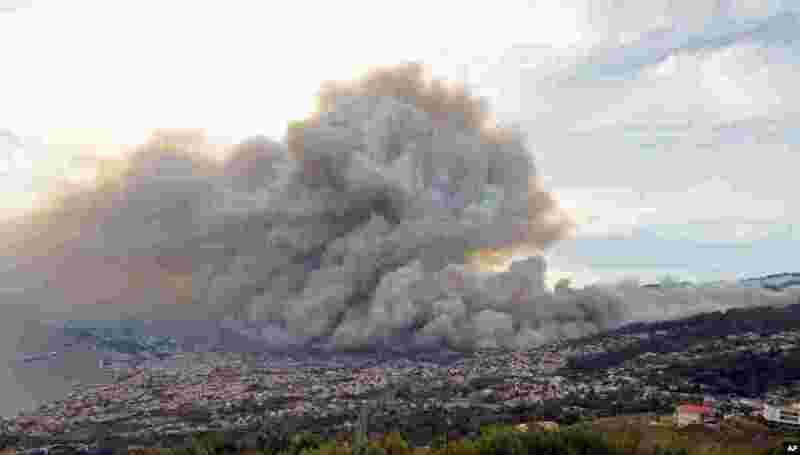 5 Smoke from forest fires rises above Funchal, the capital of Portugal's Madeira island, Aug. 9, 2016. 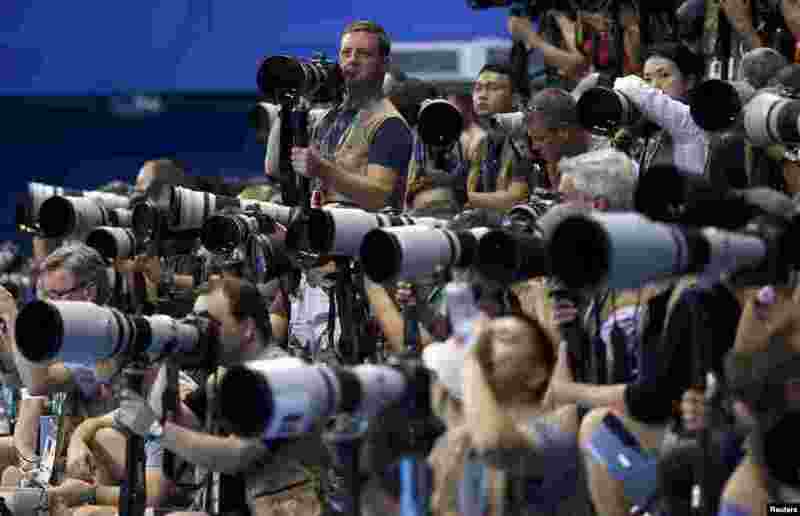 6 Photographers take photos of men's 100m freestyle semi-finals at Olympic Aquatics Stadium during the Rio Olympics in Rio de Janeiro, Brazil. 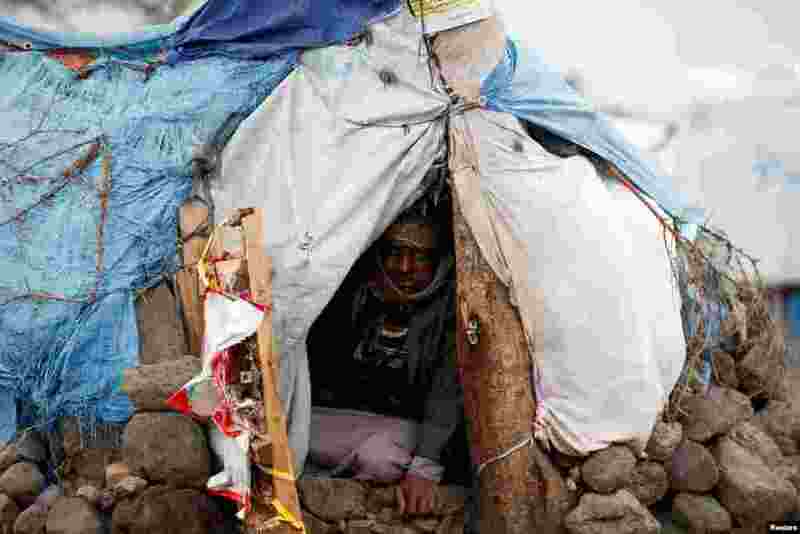 7 A man sits in his hut at a camp for internally displaced people near Sana'a, Yemen. 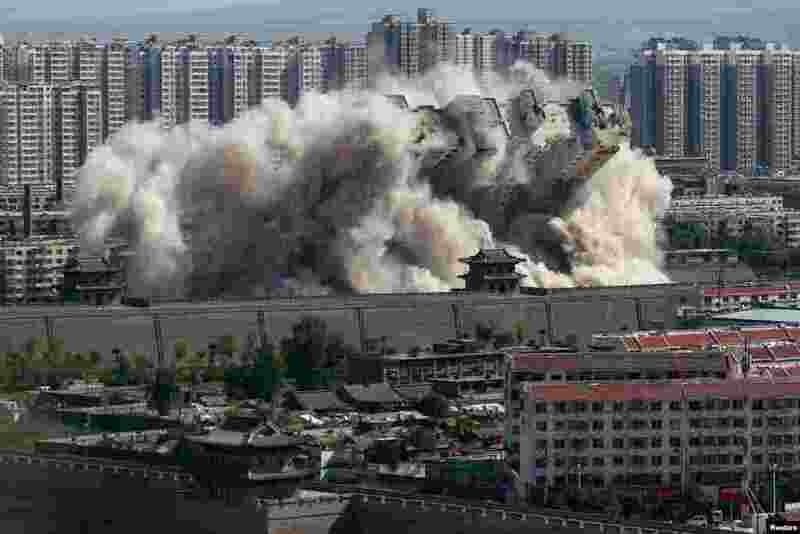 8 A building crumbles during a controlled demolition in the city of Datong, Shanxi province, China.